Tom Clancy’s The Division was an amazing game. A good launch was plagued by months of bad end-game content and a misguided balance attempt that turned enemies into bullet sponges. Fast forward two years, and Ubisoft Massive managed to fix the game’s balance, add a respectable endgame loop, and take everything they learned and pump it into a sequel. The Division 2 is a significantly more focused beast, bringing back 90% of what made the first game great and removing 90% of what dragged it down. It is a fast paced tactical shooter focused on intense firefights that necessitate the use of cover, all set in a supremely detailed recreation of Washington DC following the outbreak of a deadly smallpox virus. 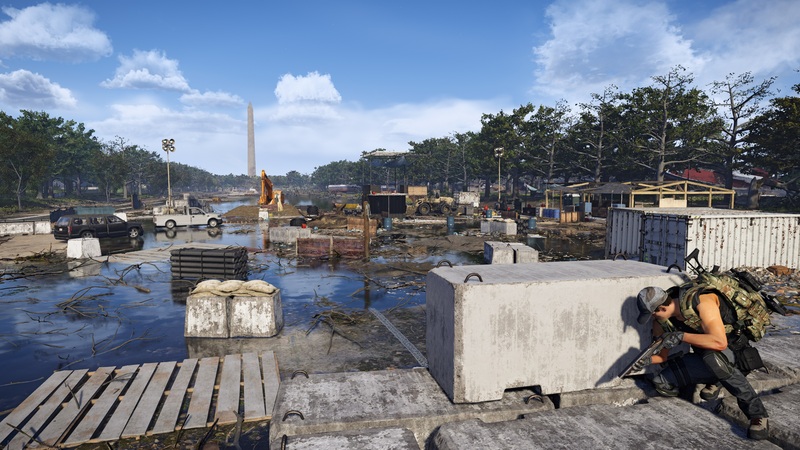 Playing as a member of the Strategic Homeland Division, it is up to you to guarantee the continuity of government by rebuilding the city and keeping its citizens safe. 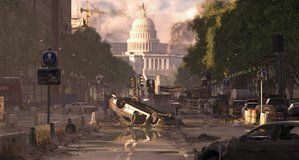 Set in an open-world map populated by various factions, The Division 2 feels surprisingly alive. Enemies, allies, and civilians constantly roam the city and patrol areas of interests, as others gather supplies or rush to someone’s aid. Each of those NPC activities is fully simulated, meaning you can follow a group of civilians and protect them as they gather food from camps or help patrolling guards take advantage of two enemy factions fighting each other. Several activities also litter the world, from public executions and hostage rescues to supply drops and control points that must be secured. They interact with the open world seamlessly as roaming NPC groups cross paths with it, generating spontaneous engagements that can either provide you unexpected relief or box you in between enemy groups, changing the battlefield in a split second. 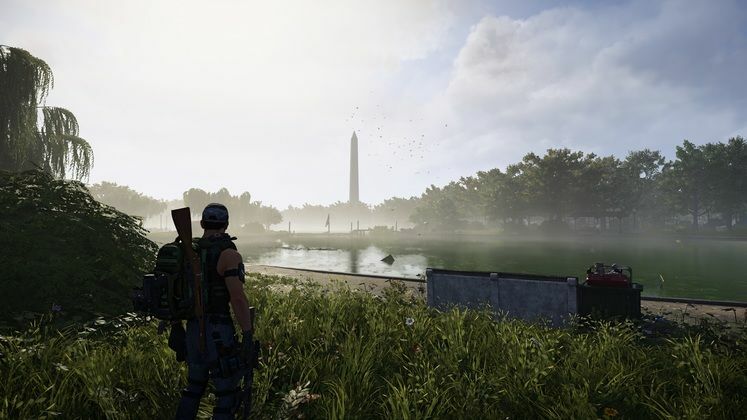 When you are not roaming around a beautifully executed version of the American capital, you can engage in the main and side missions that make up the bulk of the game’s tailored content. They all take place in famous landmarks ranging from the Smithsonian National Air and Space Museum to the US Capitol, setting firefights on a rocket testing facility one minute, and inside the Lincoln Memorial the next. Massive’s level artists showcase their remarkable talent in every room and building, making virtually every inch of the game world memorable in some way. 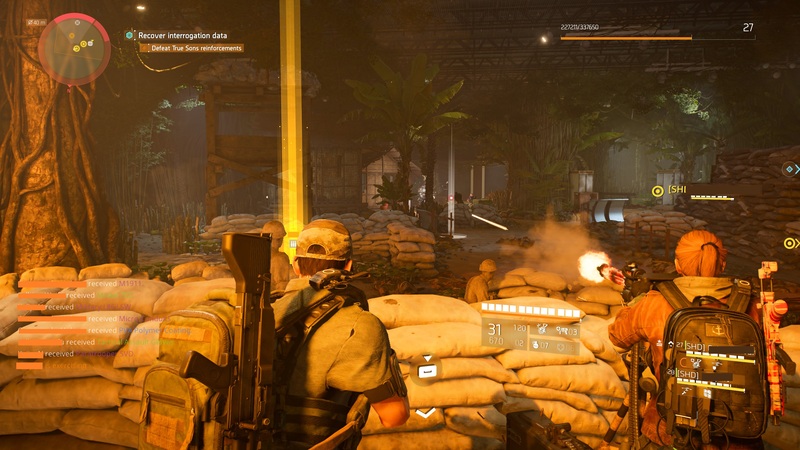 Thanks to the tactical nature of engagements in The Division, these environments and their cover are also extremely important in a strategic sense. Firefights are fast-paced affairs, necessitating the use of cover as both sides tend to die rather quickly when caught in the open. Thanks to a clever AI, most hostiles are not afraid to move up into your flanks if you’re distracted or playing defensive – meaning you must constantly relocate through the battlefield to push your advantage and deny the enemy theirs. 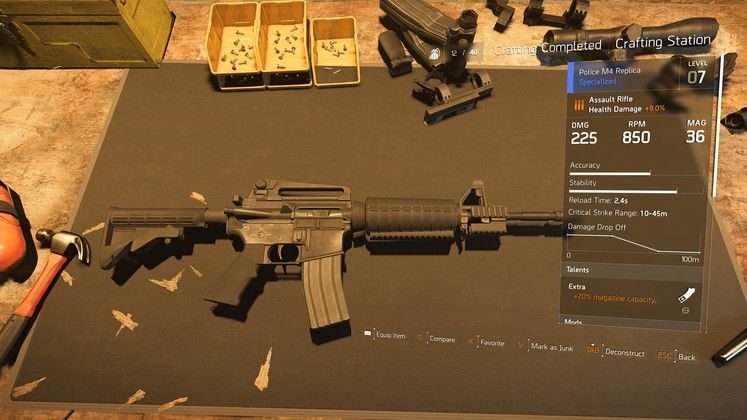 Regardless of what you do, The Division 2’s activities and missions all reward XP and items on completion, showering the player in loot. The map is full of goodies and collectibles, incentivising exploration through more rewards and further insights into lore. Allied to the highly enjoyable battles, the core gameplay turns out to be highly addictive both in the short and long terms. Penned by Red Storm, The Division franchise always had a pretty engaging and grounded lore, but what makes it unique is the way it doesn’t force players to care for it. Those interested are free to read logs, watch videos, and listen to audios detailing what is going on in the world, but those who just want to shoot something can gladly follow waypoint after waypoint to get into fights. 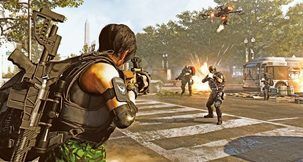 Speaking of fights, The Division 2 is primarily a coop game, and it is balanced as such. There are more skills than a single player can carry and creates a synergy when playing with squadmates, while enemies scale up based on the number of people in the group. Similarly, the game implements an ingenious solution to level gap, bringing low level players and their equipment up to the highest level member of the group. 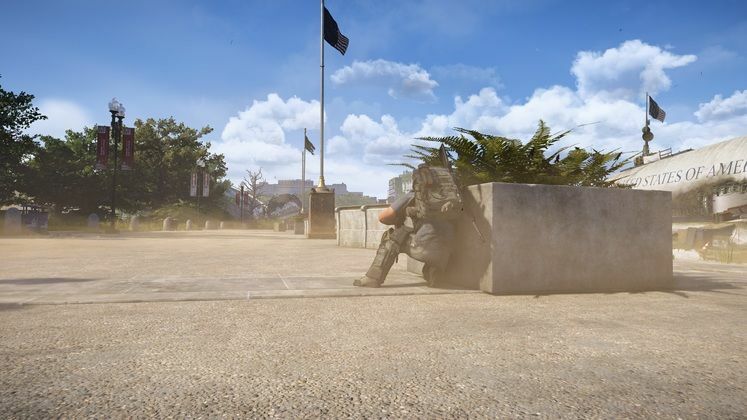 While the game thrives on coop play due to the option to revive teammates and the intensity of firefights and the tactics involved, the game is perfectly playable solo. I did it throughout most of the main story as I like to take my time exploring things and listening to the plot without players speaking all over characters, and it was perfectly viable – if significantly tense. Solo play tends to be considerably more punishing, due the lack of second chances; if you die in the open world, you respawn in the closest safe area. If you die on a mission, you respawn in a checkpoint. And if you die in the Dark Zone… well, you’re dead. The game has very few problems, the most noticeable ones related to balance. Most skills are either weak/flawed to the point of uselessness – like the fragile seeker and Firefly drones that get destroyed before reaching targets or the short range Pulse that only highlight enemies that are standing right next to you – or have ridiculously long cooldowns, like the healer drone or – again – the virtually useless Pulse. Similarly, weapon mods feature some of the most idiotic bonuses ever seen in a videogame, to the point it is painfully clear whoever was in charge of them doesn’t understand how weapons work. Weapon grips that actually make recoil worse? Check. Scoped magnification sights that don’t actually zoom at all? Check. What about a muzzle flash that somehow reduces reload speed? It’s all there. The game needs to completely reassess how it handles weapon mod bonuses, as the pros are often nonsensical and the cons way too harsh to justify running most of them in any weapon. Those faults aside, The Division 2 is actually a good game. Ubisoft usually puts out deeply technical and creatively flawed games that nevertheless manage to be mostly fun (e.g. Wildlands), but The Division 2 is not that – it is a good and fun game through and through, and one whose most egregious issues can easily be fixed during its lifetime. Once level 30 is reached and all three faction strongholds taken care of, players progress into World Tier 1 – the first of four end game “realms”. The city – once liberated – is invaded by an advanced paramilitary group that quickly takes control of landmarks. In terms of gameplay, that means another faction is present in the world, complete with their special bosses and enemy variations. It also means the main missions and strongholds must be played in an “invaded” variant, populated by new enemies and objectives that change the flow of each operation. As each of the strongholds is taken, the player progresses through World Tiers and eventually reach World Tier 4 – the last step until the release of the Tidal Basin stronghold and World Tier 5 next month. 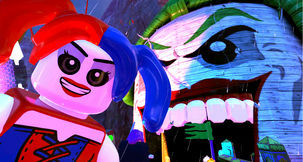 The endgame also possesses various activities, including bounties that can be tracked down across DC and a constant struggle between control points and blockaded settlements. 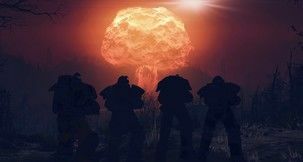 Those settlements – which were previously upgraded during the main story via missions and projects – must be defended from attacks, and new daily and weekly projects crop up to keep players invested. 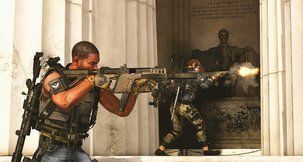 It is a meaty and consistent list of tasks that can be tackled if and as desired, rewarding players for coming back to The Division 2 world over and over again. 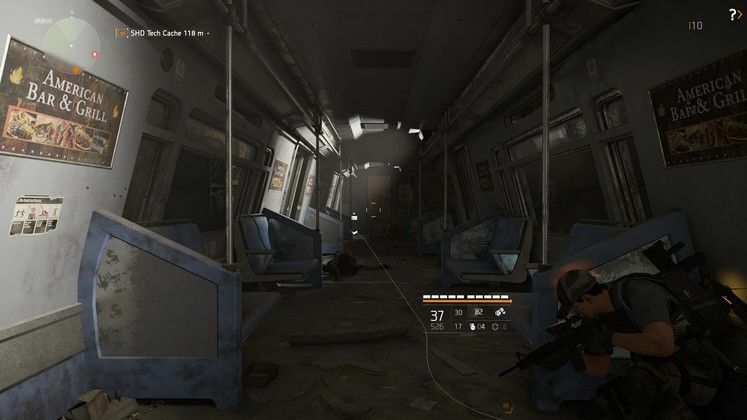 There is also the Dark Zone, which is not endgame per se, but a recurring alternate activity throughout the whole game. 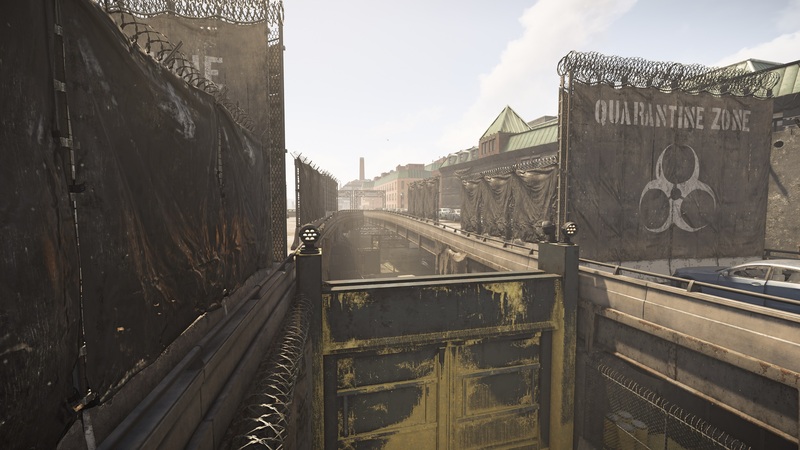 A quarantined area where the outbreaks happened, the Dark Zones are cut off from the rest of the city in both access and communications, and they work as PvEvP areas where players can fight NPCs as well as each other. As with Division 1, the time around launch tends to be significantly calmer than later on, but I expect the area will devolve into a toxic PvP focused location where cowards prey on lonely players just as it did with the first game. Hard Drive: Up to 50 GB. 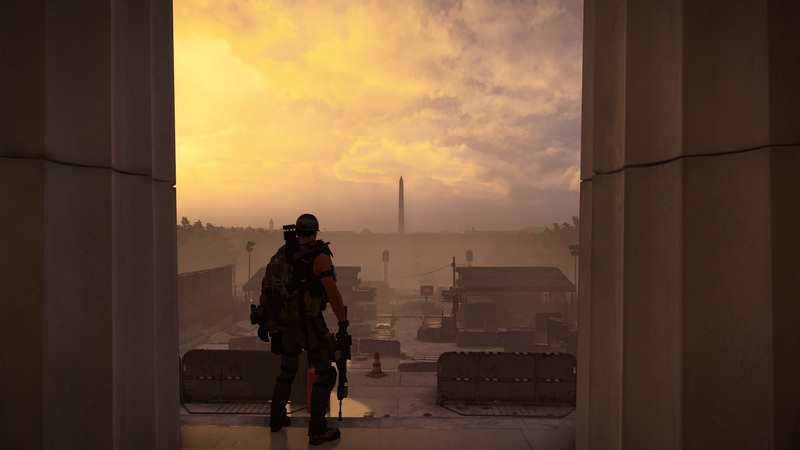 Running on the Frostbite Engine like it’s predecessor, The Division 2 is a preposterously good looking game. The world’s natural gorgeous visuals are complemented by great weather effects – including amazing thunderstorms that severely hamper visibility – and little details, like the sun reflecting off windows or footstep marks left on dusty floors as you run past. The game is well optimised, and offers several video and UI options on the PC. Like The Division 1, it has some logarithmic issues running in resolutions above 2K, but those can be solved by reducing the resolution scale for a huge framerate boost through no apparent loss in graphic quality. 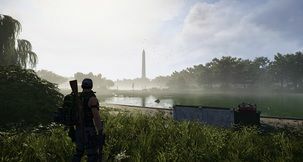 A great game with fantastic world building and gameplay, The Division 2’s most egregious issues can easily be fixed during its lifetime. An intense firefight in the roof of the US Capitol building in the dead of night. 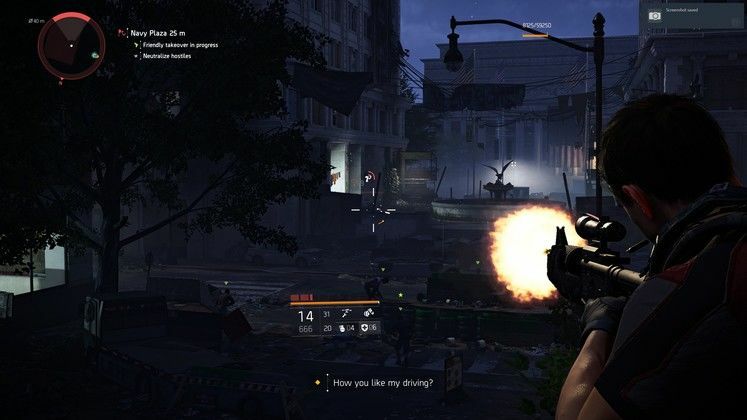 Compared to The Division 1, skills in The Division 2 are rather unimpressive both in functionality (but especially in presentation) -- give me back my awesome airburst BB-8!